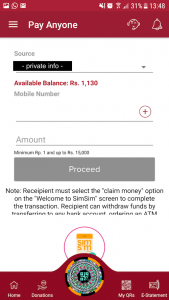 Simsim is a mobile banking app – call it a mobile wallet or Simsim wallet. 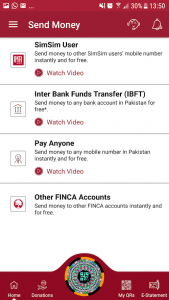 It’s the product of collaboration between FINCA Microfinance Bank and FINJA – the financial technology provider. 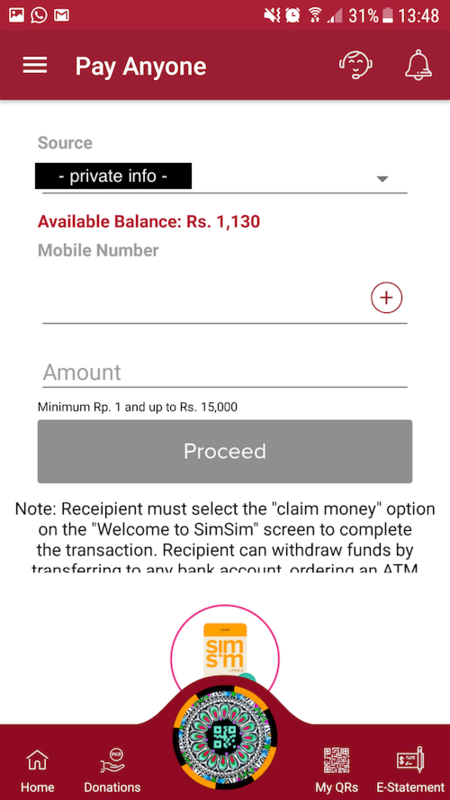 Right from the onset, Simsim gives the impression of an agile, lightweight, powerful composition of feature-set, and an easy to use app. 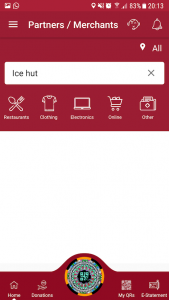 The app is trying to fit-in as many practical features as possible that we normally do individually per wasting time. 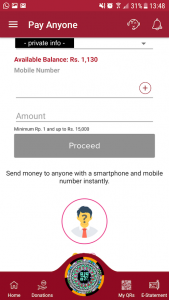 The basic functionality of finance operations like add, send, get, or transfer money is easy and flexible. 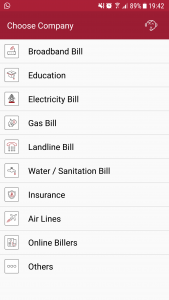 You can pay utility bills for a dozen of services. There are bunch of services and 3rd party integrations like ability to buy tickets for movies or buy gift vouchers that elevates the user experience from boring transactions-only app to a more fun-entertainment inclusive app. 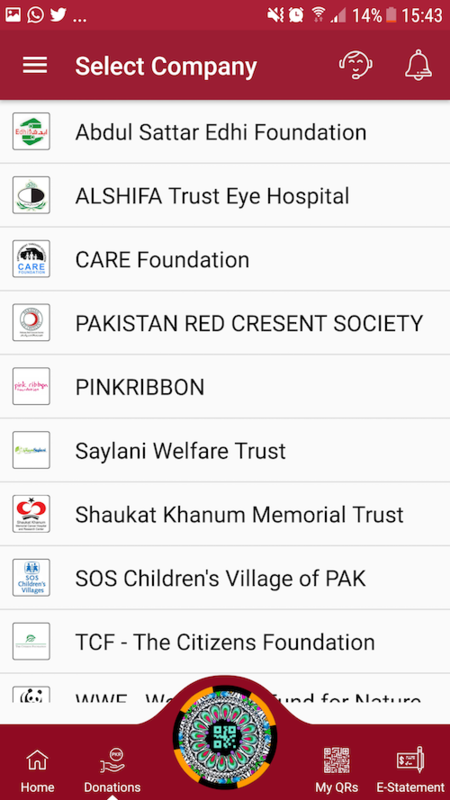 You can give donations to charity organizations, topup your mobile balance and locate discount deals near you. 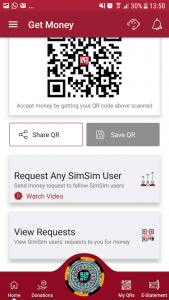 QR code based payments is the weapon that Simsim has used quite smartly, there are hundreds of merchants (at least 500) that support Simsim QR code based payments making customer experience fast and smooth. Nevertheless, after a thorough dissection of the app, there are some shortcomings but not serious enough to give a bad connotation. Have a read, you will get to know a thing or two more than 30 seconds ago! 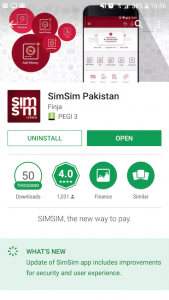 Simsim has mixed reviews in both Android and Apple app stores. 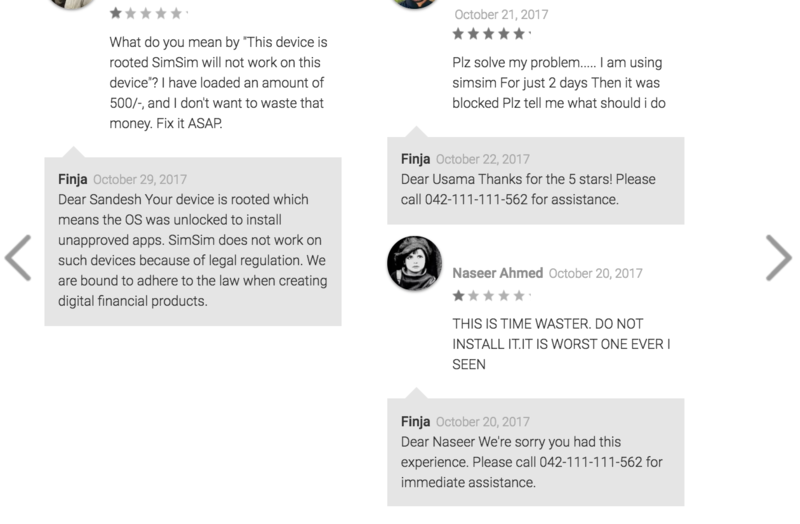 People seems to be liking the app and the powerful set of services it provides but they are getting early stage bugs in the app that make them a bit reluctant to use it further. 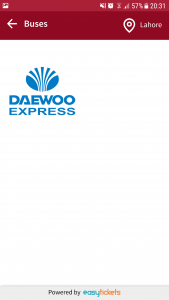 Nevertheless, the support team has been replying to almost all the unhappy customers on the app stores which is a positive sign for the company’s dedication. Given the fact that monetary processes all over the world are susceptible to fraudulent practices, Pakistan is not an exception. Registration process will seem rather lengthy but it’s a one-time thing to keep your digital wallet safe. After second step of “CNIC Verification”, the screen for apparent successful completion of registration comes (screen 3 above) which is a bit misleading as the whole process shows 4 steps for registration. 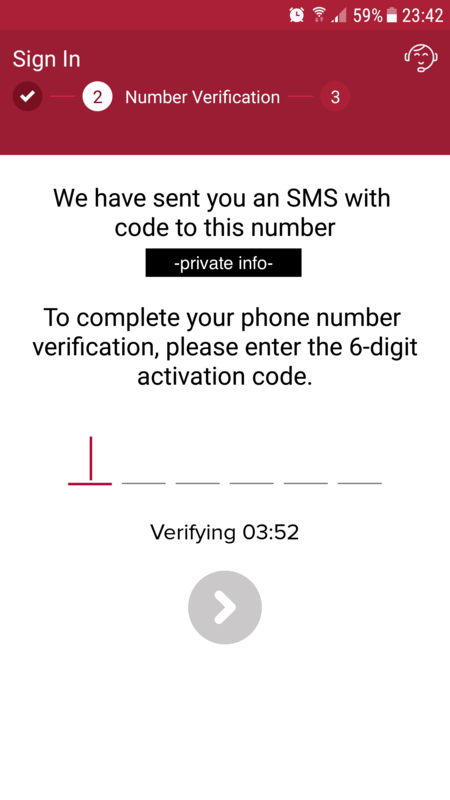 Anyway, after under 1.5 minutes, the next step is to verify your mobile number and then customize your profile to finish off. 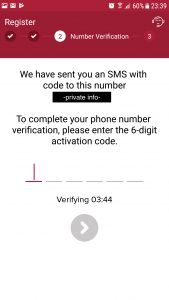 The process of reaching to the last step after which you can actually use the app takes around 2 minutes which is again not so bad, as you only register once. 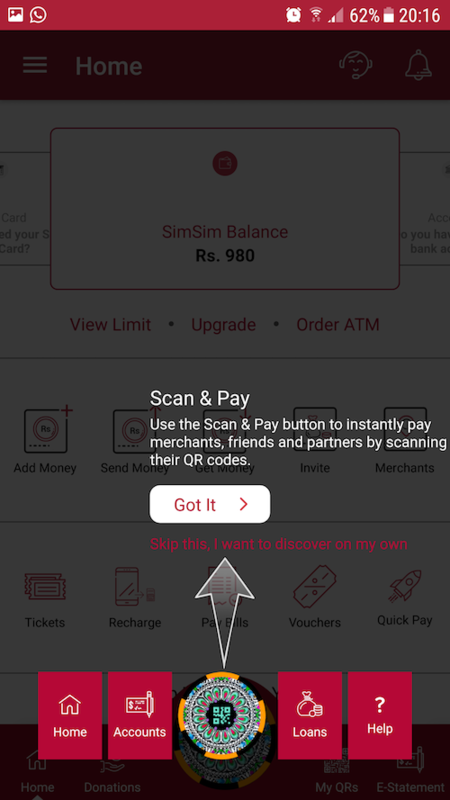 I logged-in myself several times to see the experience and the process seemed tedious enough to do it at times when I really need to pay instantly. It took almost 15-25 seconds every time to finish off. 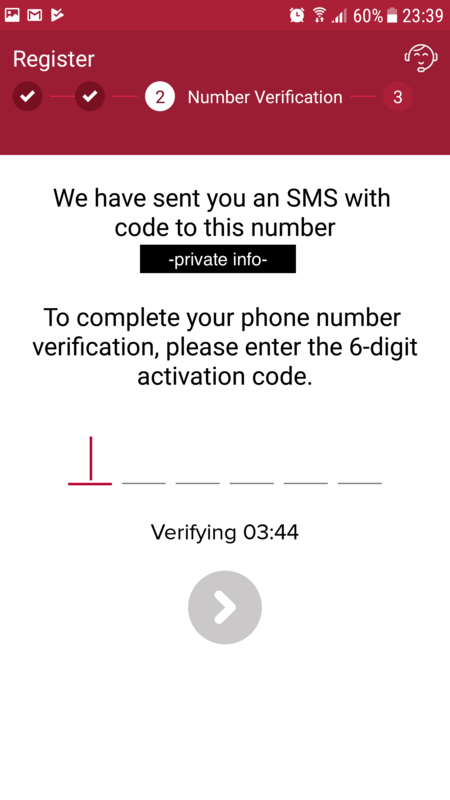 On the other hand, the cool part is, if you have already logged-in and have remained inactive for exactly 2 minutes, the app goes into sleep mode and to re-use it, you just have to enter the 4 digit pin to login again which is smooth and fast. 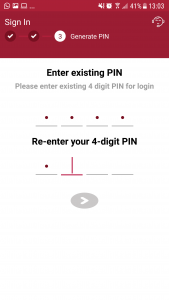 Apart from that, punching your 4-digit pin does not seems natural as there is some lag in response from the app. Might be something going on in the background while you tap digits. 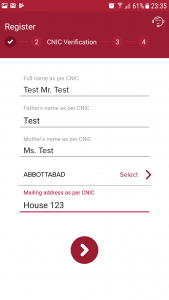 Biometric verification can replace the pain of punching login details every now and then; especially when you are logged-out and want to do some instant payment but can’t afford to waste time logging in with so many steps. The welcome screens look awesome, the screens show what you should expect and give you a heads up about the options before arriving to the actual home page in the next step. 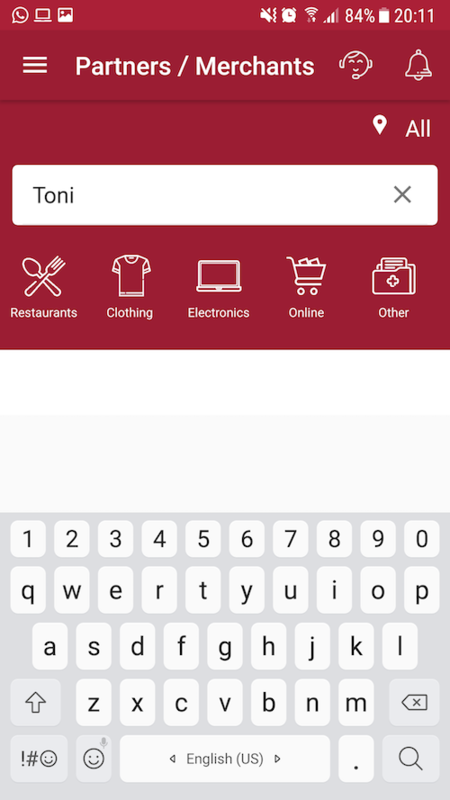 But, a minor problem arises quite early in the user-experience when the text and key buttons in the welcome screen are not in sync with the actual interface. 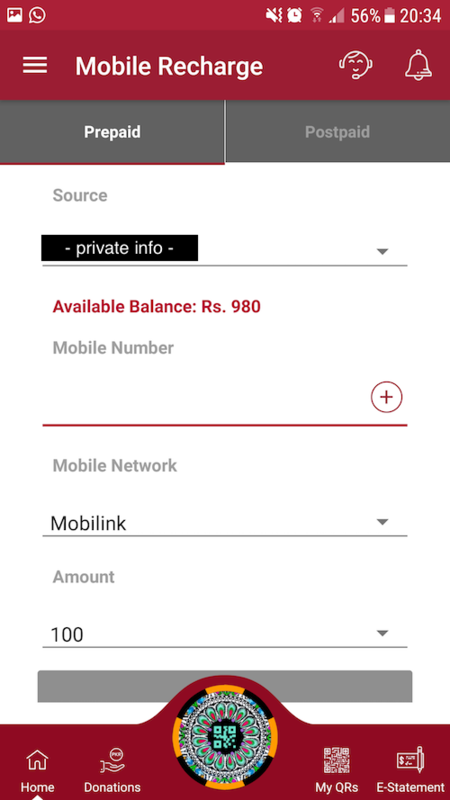 Like, there is no “Loans” button in the bottom navigation bar, “Donations” are not in welcome screen, ‘MyQRs’ are are not in welcome screen, or ‘e-statements’ are actually ‘accounts’. Actual home page looks like this. Overall look seems like a good start, but there is certainly some space for improvement here. The main banner with SimSim balance looks out of place mainly due to being a swipeable screen in the middle of two other screens. And to see other screens while you swipe, you have to do it back n forth to see all of them. 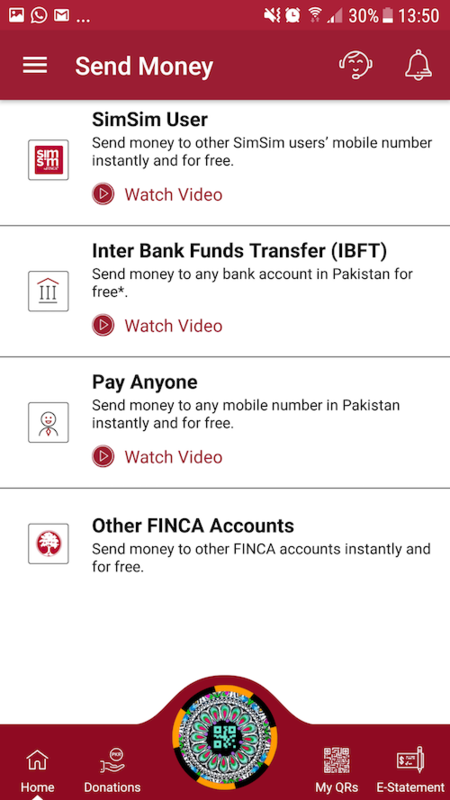 The information in the other two secondary screens is call for action to related stuff but not actual stuff for wallet, like “Have you ordered your ATM Card?” or “Do you have a FINCA bank account”. 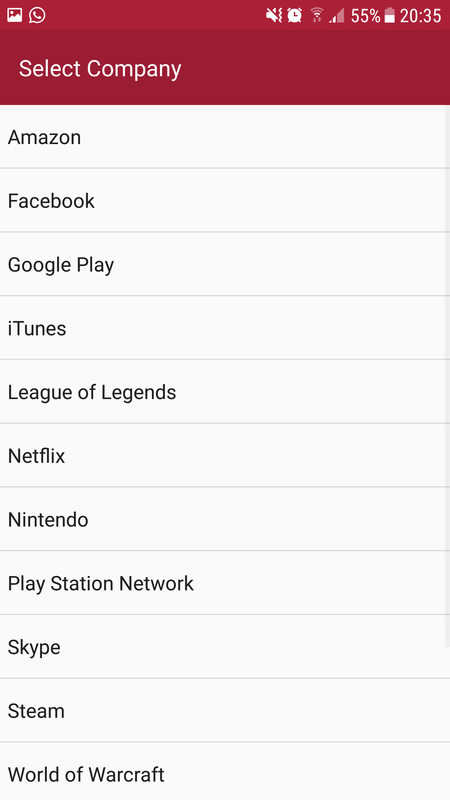 If it was showing some usage analytics then it would have been a good addition, otherwise clean and uncluttered home screen is whats missing. 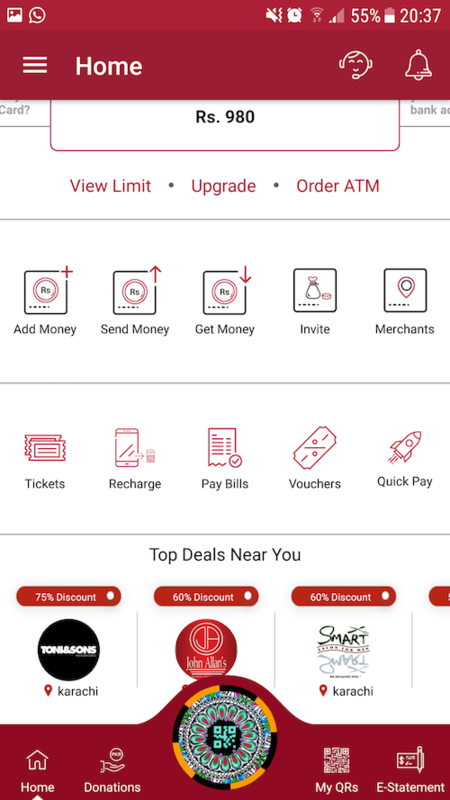 The middle navigation row for “Add/Send/Get Money…” is also not the best suited design approach as the space is already fully consumed which begs the question for more space if there is a requirement. 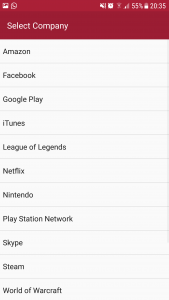 For scenarios like these, apps usually do grouping under one category, analyze user-behavior to show “recently used” or “more frequently used” items and hide back the rest of the options, or just show high level buttons with popup screens for more options. Anyway, TBH, its fine as it is right now, but something to think about for the future. 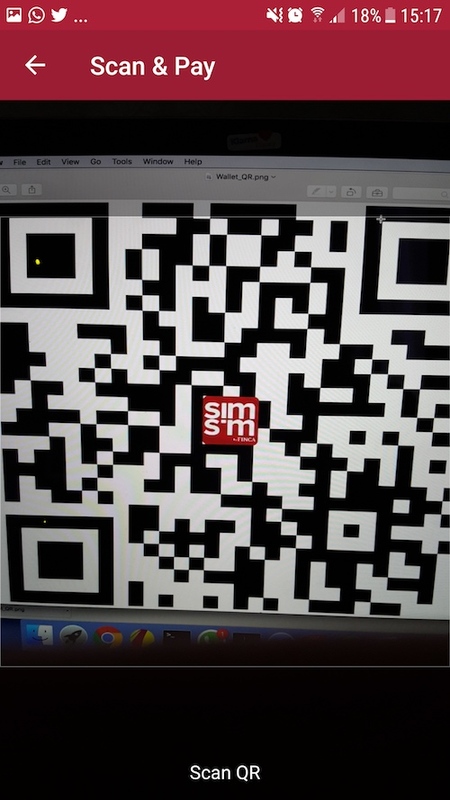 Unfortunately, the main iconic button for scanning QR code is creating a minor ux failure, see the screen below. The button itself looks really cool and appealing to press onto but its design hides away the area that is unnecessarily creating a bad user experience as you have to swipe sideways to see the hidden text while you are swiping the home screen horizontally (you will know what I am trying to say, when you use it). Reminds me of a similar iPhoneX display notch thing! 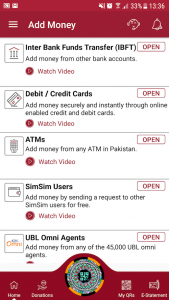 There are several options to add money to your wallet and all with example videos to watch and learn. I think these methods are too many and good enough to not give customer any excuse to hide behind not being able to add money. 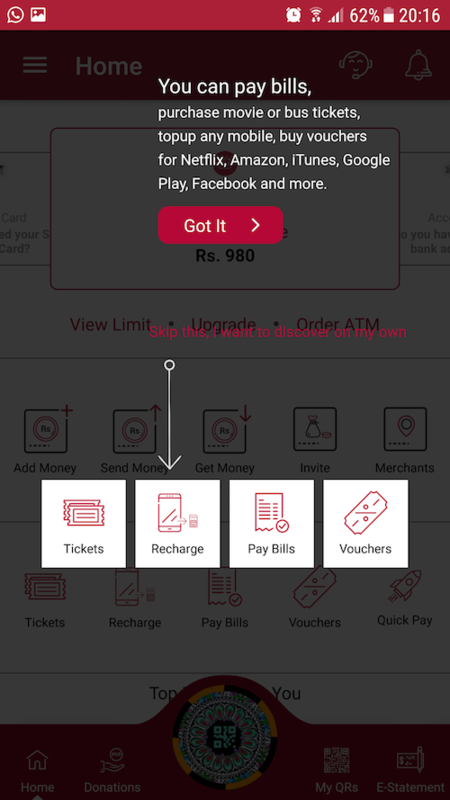 The last and not-yet-ready method of “Cash-in at your doorstep” begs some questions here. 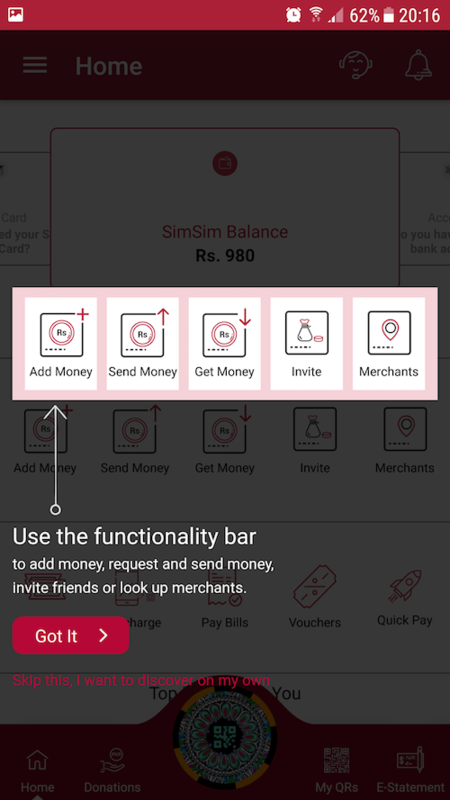 The idea here is, if you dont have money in wallet and have cash instead, then you don’t have to go out and do some digital conversion. You can ask Simsim to do it for you. You give them your address and when their representative arrives at your given address, he/she will topup your wallet in exchange for cash. Now the question, if this method is abused or over-used, can Simsim commit to this method for a long run and in all over the country, absolutely not! This method is a good-to-have initially but not a sustainable one to continue keeping it. 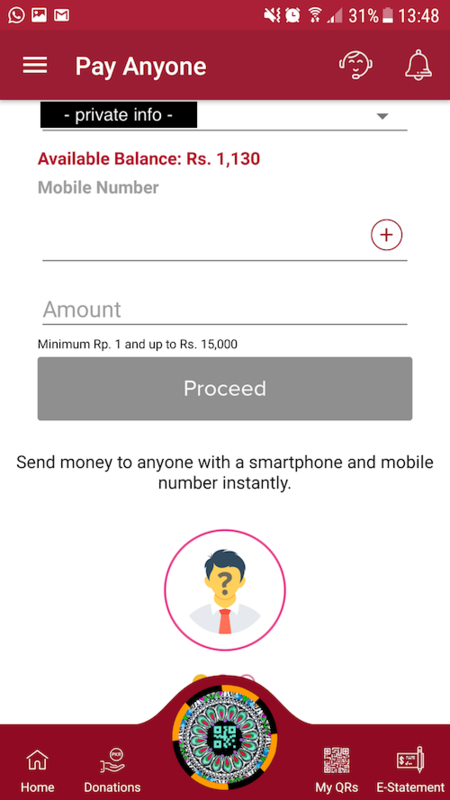 Again, bunch of ways to send money to your friends and family or anyone you want. 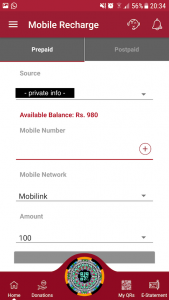 This is truly getting rid of the old cash-based ways of doing transactions. Amazing! 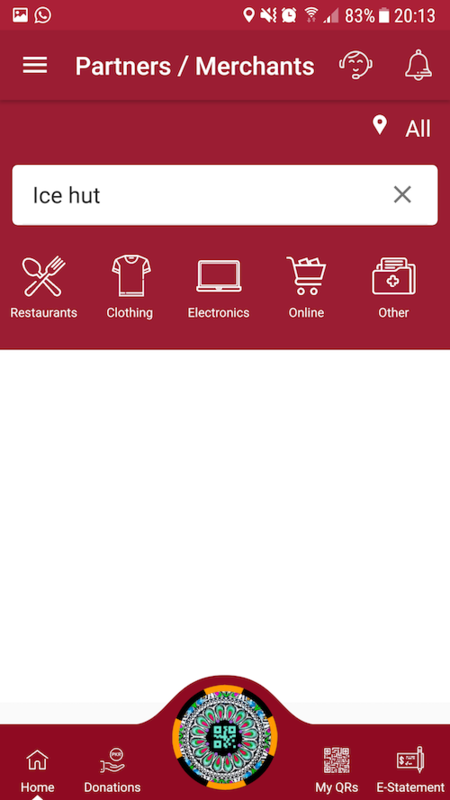 One small ui bug for Pay Anyone method. When you are at that screen, 3 sliders with extra information will appear and slide through after every few seconds. The problems here are, the information they mention should not be as a slider as people are not able to completely consume it and read the whole thing in few seconds and when they slide past, one of the “Note” is so big that it breaks the display area. 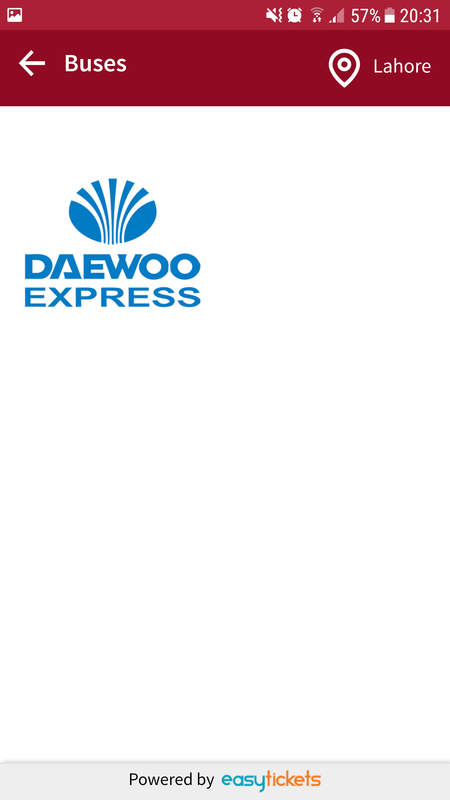 You can see in the image below, you cannot completely see the full text here and it also contracts the screen size when it appears. Kind of a small bug but irritating enough to be taken care of. 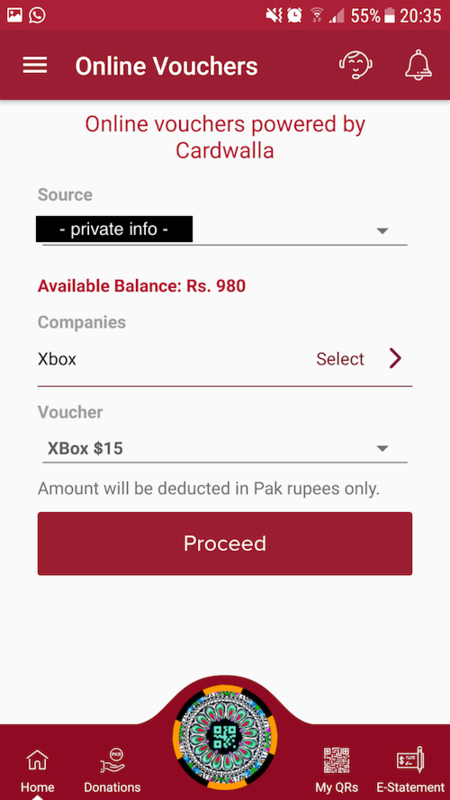 That’s yet another way of “Add Money” but is given a separate section. 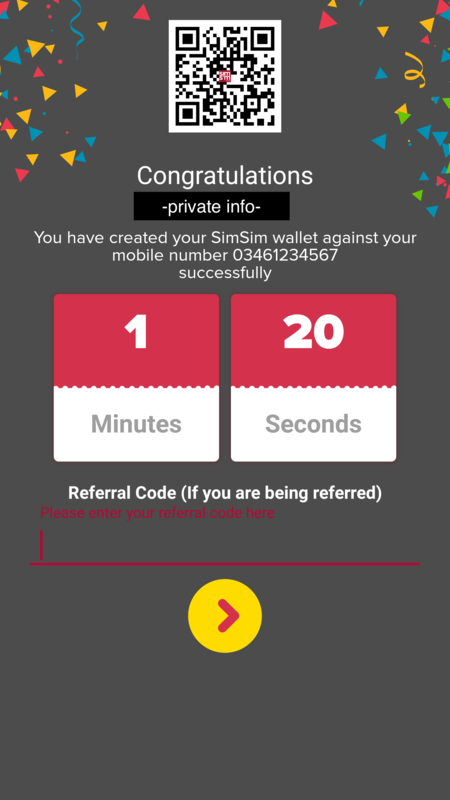 The idea here is to dispatch requests for getting money to any simsim user and then process them. 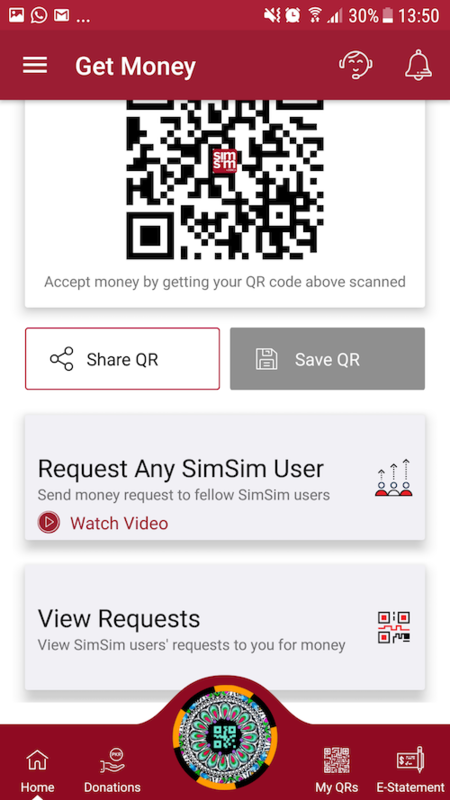 You can also request money by sharing your QR code to any one you want money from. 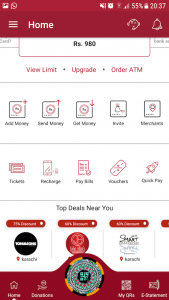 Its really a next level and innovative way to do transactions. Thats what make this app more powerful! To recharge any mobile account with prepaid or postpaid package, you just have to enter the mobile number and amount to transfer. Thats it! 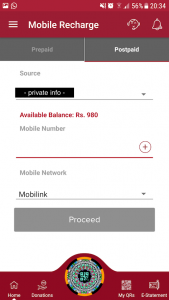 Mobile Networks you can choose from include Mobilink, Telenor, Ufone, Warid, & Zong. 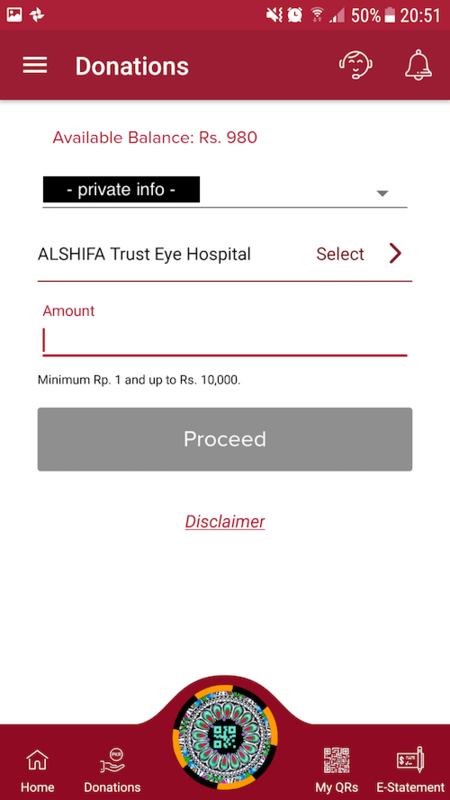 You can make payment using QR code to anyone including retail stores who have their QR codes displayed at the store for specific items. Simsim has already onboarded hundreds (500+) of merchants to use QR code payments powered by Simsim. 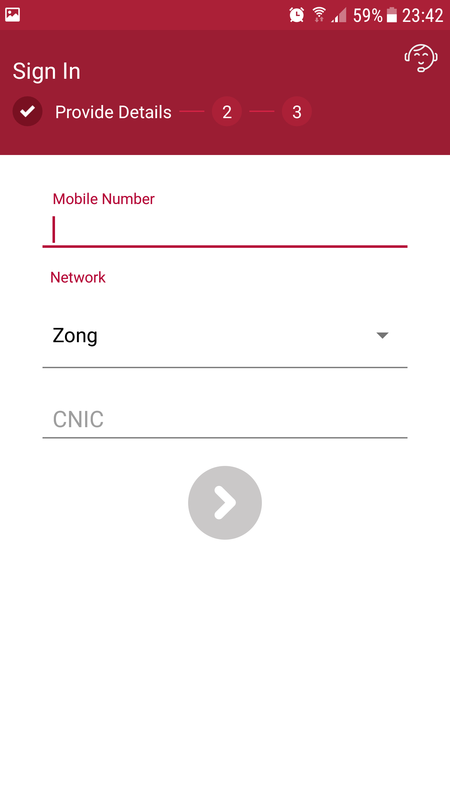 QR Code is a unique code that is generated and usable for only the things that it is configured with. 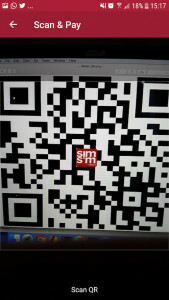 On scanning the QR Code, it loads the Simsim user account to which you want to do the payment. Easy, right? I believe this is the most important service they are providing among the rest of them. It removes the pain of doing bill payments – where the method to use is alt right different for different biller companies. 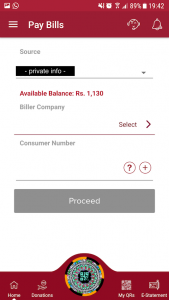 With the help of this feature, the bill payment for all the companies are under one wallet app, it’s amazing. 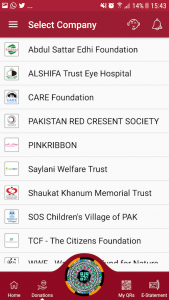 Pakistan being a muslim majority country have a duty to pay Zakat every year and not just that, whenever there is a natural calamity of some sort, Pakistan’s charity organizations pool in huge amounts of money to spread the sum and help the needy. 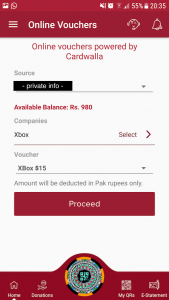 This option of ‘Donations’ is a very powerful tool to pay the sum to such organizations right from your wallet. There has been no such service before – Neat. 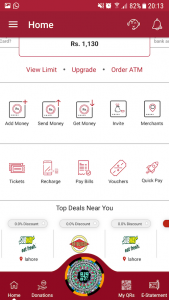 This is good stuff making the app not secluded to just boring transactions. It makes it vibrant and call for frequent use by its users. 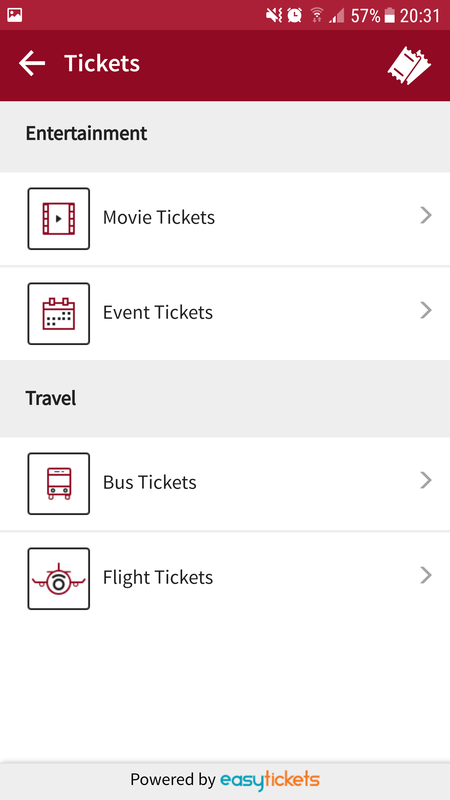 Movies, events, and travel tickets are just few of the things covered under Tickets. 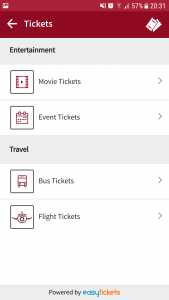 This section is powered by a 3rd party service provider “easytickets” and it’s brilliant. 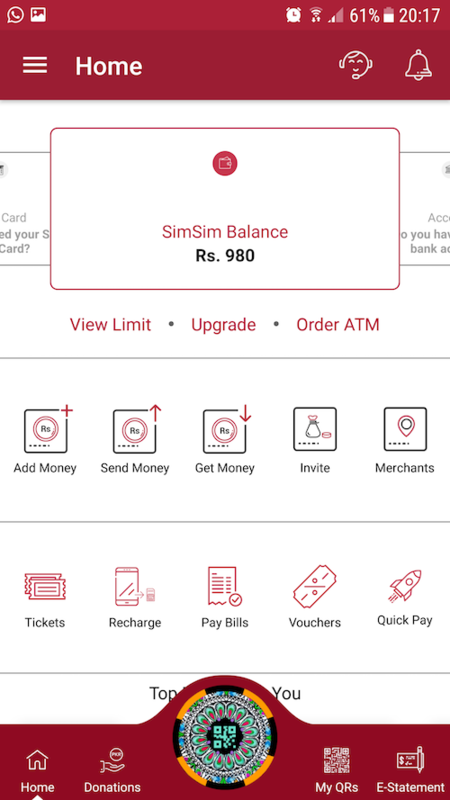 Placing an order is easy, just select the details of tickets and pay the order right from your Simsim wallet. 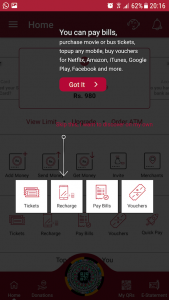 Similar to Tickets, vouchers are powered by 3rd party service provider “Cardwalla”. The idea here is to buy online gift cards of various famous brands without visiting their website and buying it there. 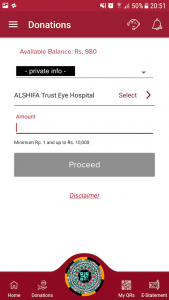 It’s just a good-to-have thing but not sure, if it will add considerable value for the wallet users. 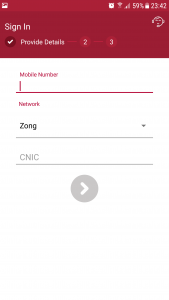 One of the powerful features of this app is the capability for users to order a new ATM card right from the app. 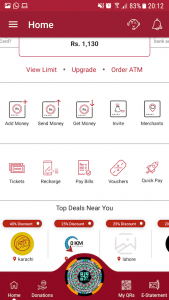 And not just that, users can connect their Finca Microfinance Bank Account with wallet. 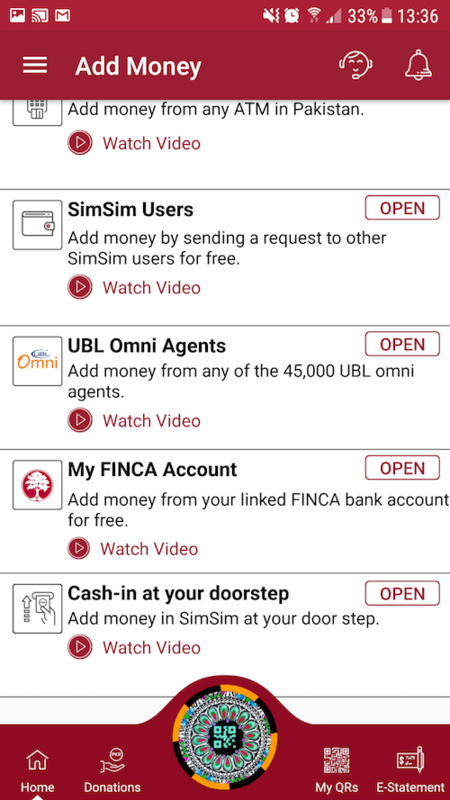 Since Simsim wallet is the product of a collaboration between Finca Microfinance Bank and Finja – the financial technology provider, the powerful mix of the two enables the users to instantly use mobile wallet as a tool to interact directly with your bank without the need to go to the one. the limit is by-and-large the same amount given by any regular bank. 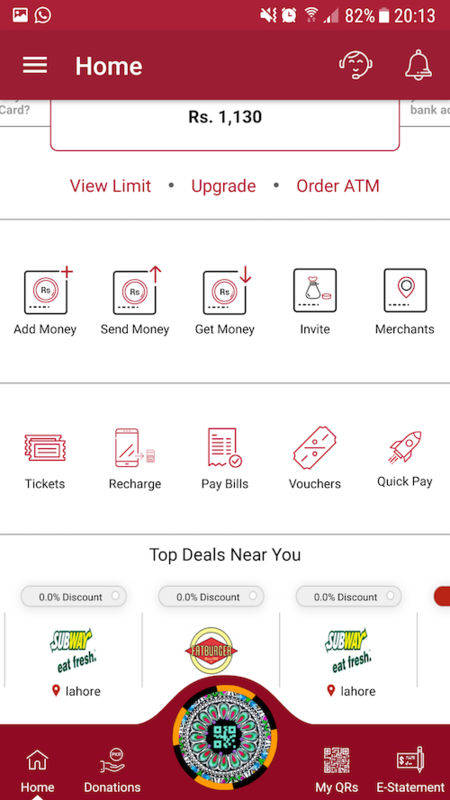 The good thing is, you can upgrade to next level from the app which is again a very flexible way to empower your wallet. To increase to even higher limits, there is a manual process involved that involves submitting bank statements, cnic, & more. This feature is a reward based system to spread the app among your social networks. 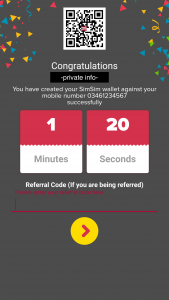 Whenever you send a referral, the receiver gets Rs. 50 in his wallet on joining the app while the referrer will get Rs. 100. 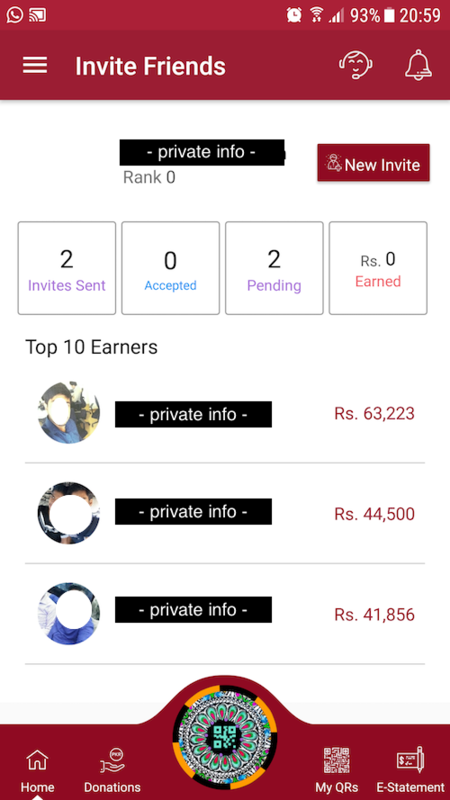 If you see the below screen where “Top 10 Earners” are shown, I know its motivational but it’s also a privacy concern as showing everyone the profile picture and full name of top earners without their consent (correct me if I am wrong about privacy concern here) is not something good. 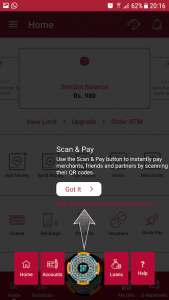 ‘Simsim Deals’ are yet another nice incentive for users to get a good bunch of discounts. On-boarding merchants and offering discount deals in the app is a powerful feature enough for our masses who are after saving money. The bad thing about the display of deals is something to look after. If you see the first screen below, the third deal has no icon which is a bad sign of managing the deals. An alternative text should have been there otherwise it’s just a noise. 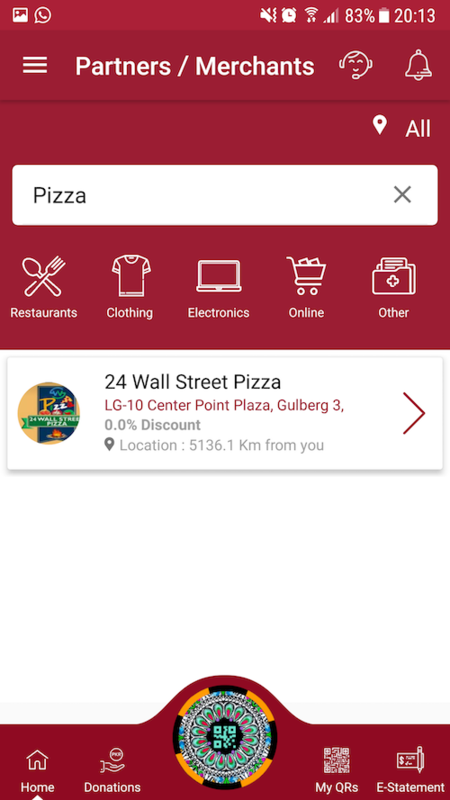 In the second screen, there are two subway deals in Lahore and they both occupy a separate place, imagine 5 or more deals of the same merchant. There should have been a better way of managing it – the list is also kinda growing so it’s not useful to display it all together. When looking at merchants, which are most likely the ones powering the deals under “Top Deals Near You”. 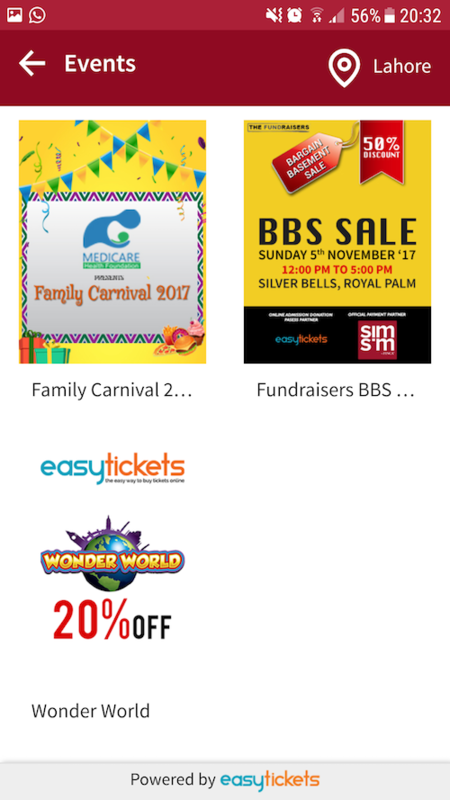 There is a disconnect here, I could not narrow down the merchants shown in the deals (or atleast I didnt understood the purpose of Merchants vs Merchants-with-discount-deals). Need to know the purpose it solves without asking anyone! 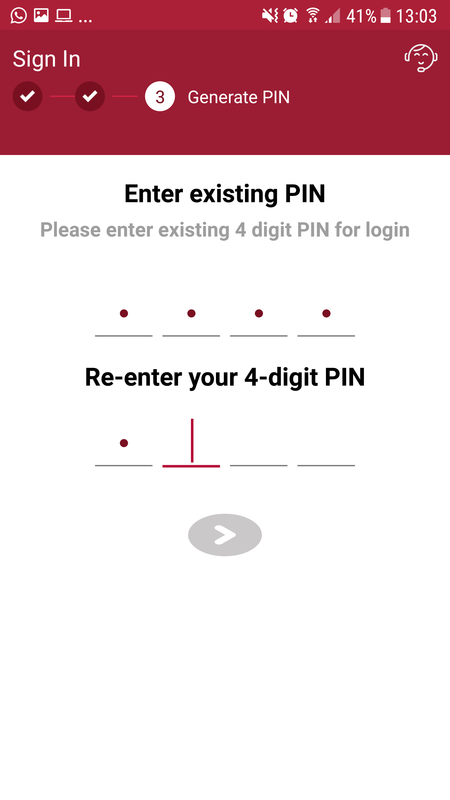 As we discussed, at the start, the login and registration process is pretty safe but I did found a certain app behaviour that comes under the heading of security loophole, like I randomly unlocked my mobile and then clicked the app to start using it and I was inside the app without entering 4-digit pin code. To my surprise I was logged-in for a good few seconds until I tried to go into “E-Statement” where I was at-once logged out and was asked the 4-digit pin code. I tried to reproduce that behaviour but it never happened again, could have been a glitch. 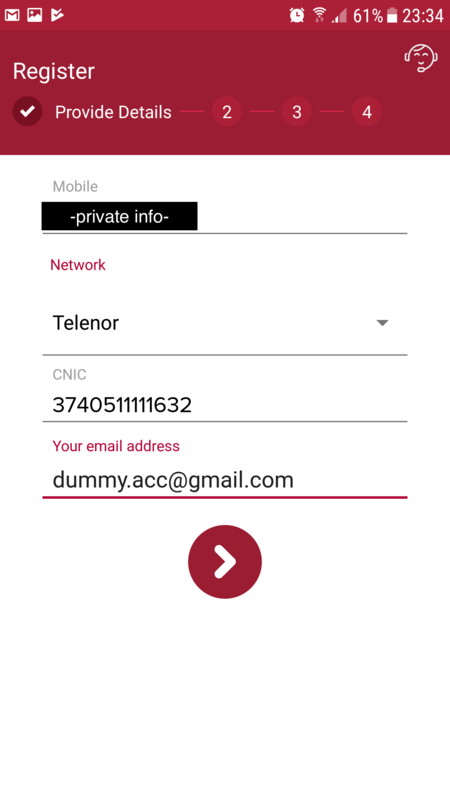 Another thing which kinda lies in the grey zone is, the app is usable outside Pakistan and using non-pakistani mobile network. Not sure, if its an allowed behaviour or should there be certain barriers to app usage but I am hopeful that developers would be aware of this scenario. 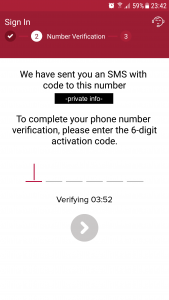 Nevertheless, the 2-minute idle session logout is a good security measure, while the hard logout from the app requires 3 step login process (discussed in login section earlier) which is foolproof. 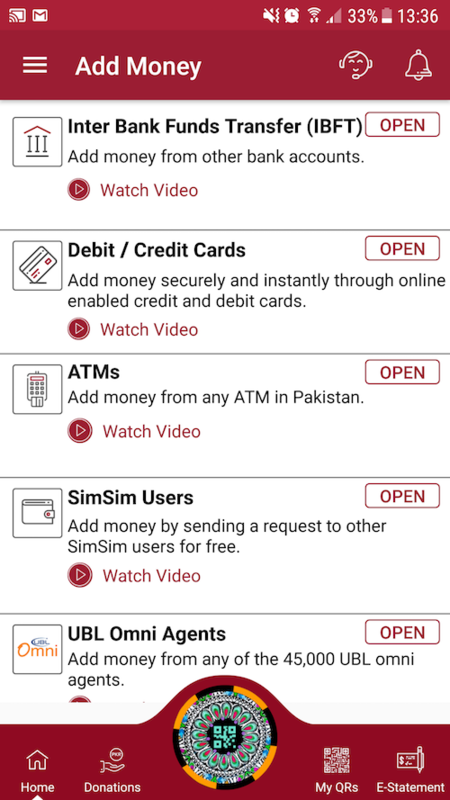 Simsim has a very nice coverage of video tutorials whenever its money matter e.g. Add/Send/Get Money. This is where most of the people get comfortable without contacting the Simsim customer support. 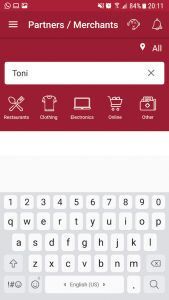 But even if someone needs to contact them, the options are quite a lot like Facebook Messenger, in-app feedback, twitter, and direct call to customer support. I tried couple of channels and they are responsive. Good job! 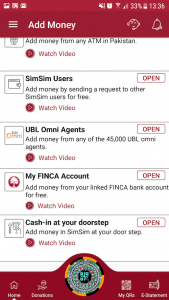 After using this app, you truly feel the power and confidence in operating your financial needs. Call it the best thing happening in the fintech space of Pakistan; it sort of solves the biggest challenges of financial inclusion for Pakistani users. Try it, you will start using it eventually!